7 What you will see? 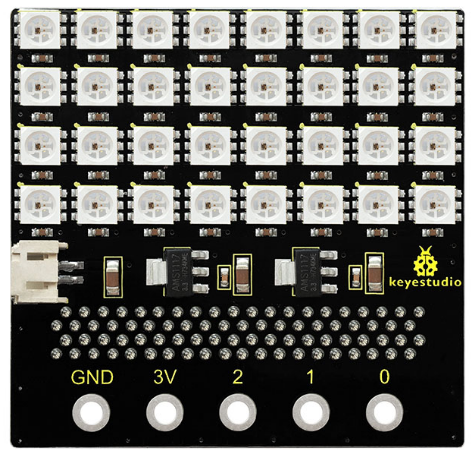 Keyestudio SK6812 4x8 LED matrix shield comes with 32 SK6812 LED lights, fully compatible with micro:bit control board. 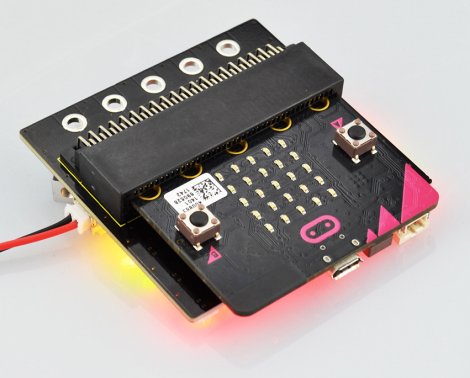 Onboard comes with two 3.3V regulator chips, one powers for the micro bit control board, the other powers for 32 SK6812 LED lights. When using it, just input DC 5-9V to the shield. 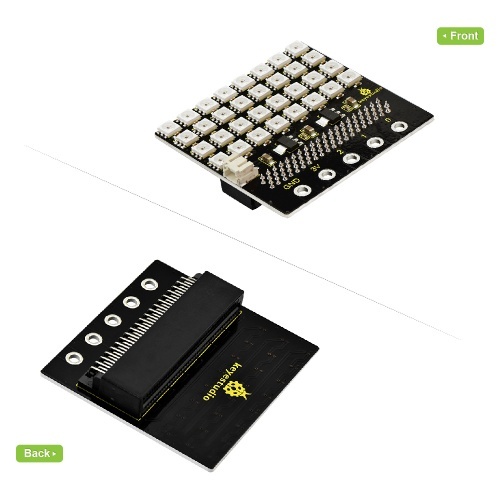 You can upload the control code to the micro:bit control board, then insert the micro:bit into the shield, and supply DC5-9V power voltage on the shield, this way you can control 32 SK6812 LED lights to display multiple colors. 3) The 5050 built-in SK6812 light bead has intelligent reverse connection protection, so don’t worry about IC damage due to the reverse connection of power supply. 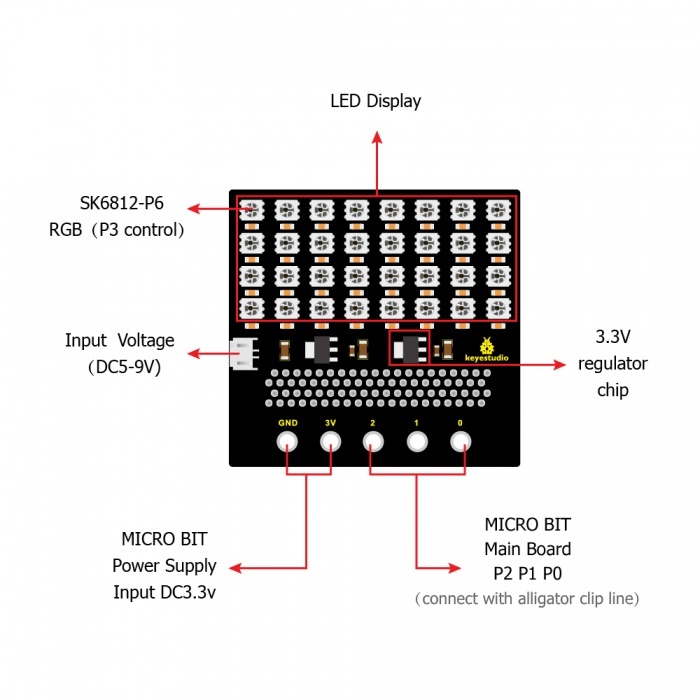 4) The SK6812IC control circuit shares a common power supply with the LED light point source. 5) The control circuit and RGB chip are integrated in a 5050 package component, forming a complete external control pixel. 6) Built-in signal shaping circuit. After receiving the signal, any pixel point will access to waveform shaping and then output. Ensure that the waveform distortion of the circuit will not be accumulated. 7) Built-in power-on reset and power-down reset circuit. 8) The three primary colors of each pixel can realize 256-level brightness display, to complete the full color display of 16777216 kinds of colors. The scanning frequency is not lower than 400Hz/s. 9) Serial cascade interface. Able to complete the data receiving and decoding through a signal line. 10) Any two-point transmission distance does not need to add any circuit when the distance does not exceed 5 meters. 11) When the refresh rate is 30 frames/second, the number of cascades is not less than 1024 points. 12) Data transmission speed can reach up to 800Kbps. 13) The color of light is highly consistent and cost-effective. 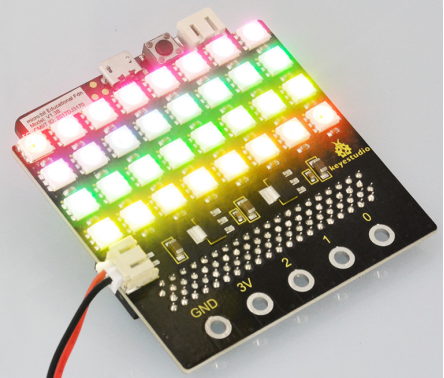 This SK6812 4X8 LED dot matrix shield should be used together with micro:bit main board. 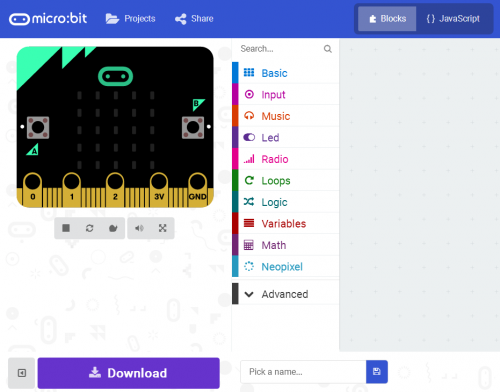 Open the browser page to enter https://makecode.microbit.org/ pop up the interface shown as below. Before type the test code, you need to add the package. First click Add Package, shown below. 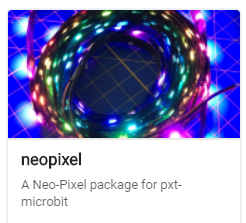 Then, on the search bar enter neopixel, shown below. Once neopixel package added successfully, you should see the Neopixel project display on the Edit bar. Shown below. 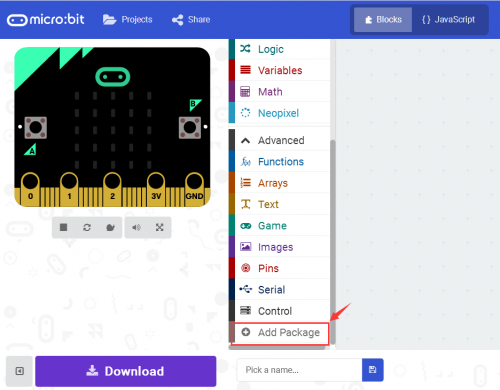 Upload well the code to the micro:bit control board, then insert the micro:bit into shield, and supply the power DC 5-9V, finally you will see the LEDs on the shield display shiny colors. Shown below. 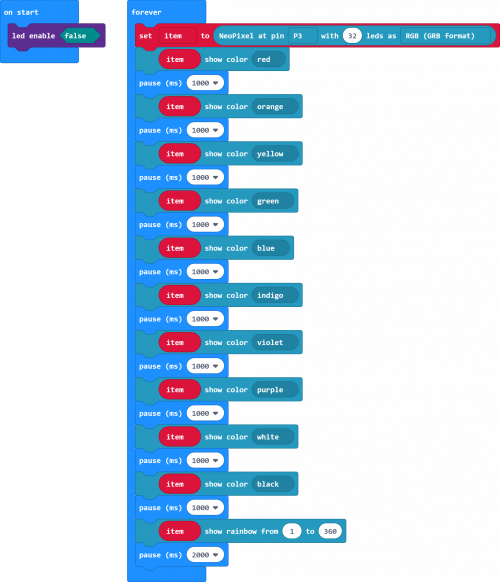 This page was last edited on 25 February 2019, at 08:38.